&nbsp;<br />Twenty-five-year-old Julie Jacobs is heartbroken over the death of her beloved aunt Rose. But the shock goes even deeper when she learns that the woman who has been like a mother to her has left her entire estate to Julie&#x2019;s twin sister. The only thing Julie receives is a key&#x2014;one carried by her mother on the day she herself died&#x2014;to a safety-deposit box in Siena, Italy.<br />&nbsp;&nbsp;&nbsp; <br />This key sends Julie on a journey that will change her life forever&#x2014;a journey into the troubled past of her ancestor Giulietta Tolomei. In 1340, still reeling from the slaughter of her parents, Giulietta was smuggled into Siena, where she met a young man named Romeo. Their ill-fated love turned medieval Siena upside-down and went on to inspire generations of poets and artists, the story reaching its pinnacle in Shakespeare&#x2019;s famous tragedy.&nbsp;<br />&nbsp;&nbsp;&nbsp; <br />But six centuries have a way of catching up to the present, and Julie gradually begins to discover that here, in this ancient city, the past and present are hard to tell apart. The deeper she delves into the history of Romeo and Giulietta, and the closer she gets to the treasure they allegedly left behind, the greater the danger surrounding her&#x2014;superstitions, ancient hostilities, and personal vendettas. As Julie crosses paths with the descendants of the families involved in the unforgettable blood feud, she begins to fear that the notorious curse&#x2014;&#x201c;A plague on both your houses!&#x201d;&#x2014;is still at work, and that she is destined to be its next target. 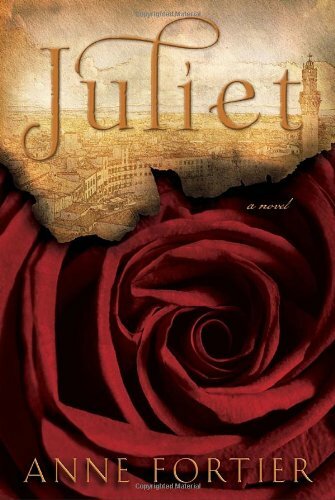 Only someone like Romeo, it seems, could save her from this dreaded fate, but his story ended long ago. Or did it?<br />&nbsp;&nbsp;&nbsp; <br />From Anne Fortier comes a sweeping, beautifully written novel of intrigue and identity, of love and legacy, as a young woman discovers that her own fate is irrevocably tied&#x2014;for better or worse&#x2014;to literature&#x2019;s greatest star-crossed lovers.